As the Wyoming Range mule deer move from winter range to summer, many are closely following the spring green-up in what is called “surfing the green wave,” a newly published study says. A team of scientists from the University of Wyoming, U.S. Geological Survey and the Wyoming Cooperative Fish and Wildlife Research unit discovered deer moving from winter to summer range closely time their migration to when new plants begin to appear. The findings were published in the June issue of the scientific journal Ecology Letters. The deer timed their movements almost perfectly to match the green-up, spending weeks at certain stop-over spots before moving on when the next area would begin to green. Surfing the green wave gives the deer access to the highest quality of forage along the entire migration route, Kauffman said. 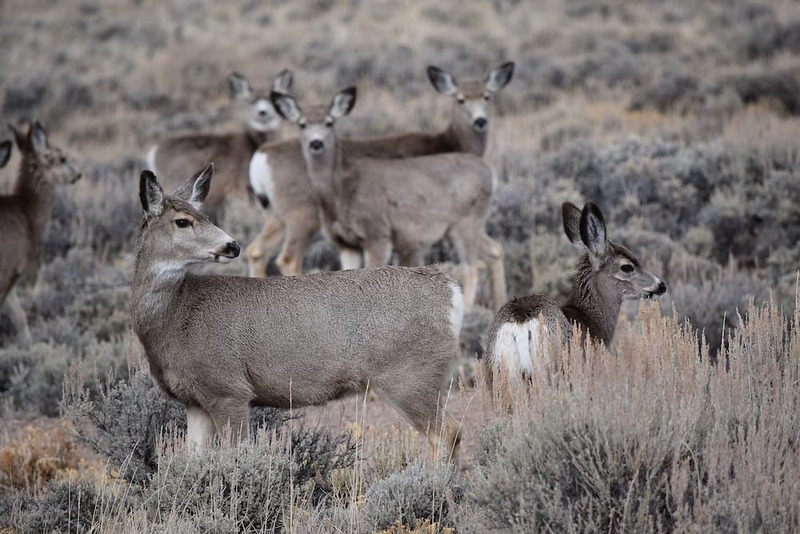 Researchers studied 99 adult female mule deer ranging in age from 2 to 12 years old in the Wyoming Range. GPS collars logged their locations every few hours along a migration route up to 120-miles long. For three years their movement was matched with maps showing the spring green-up along the migration corridor, Kauffman said. 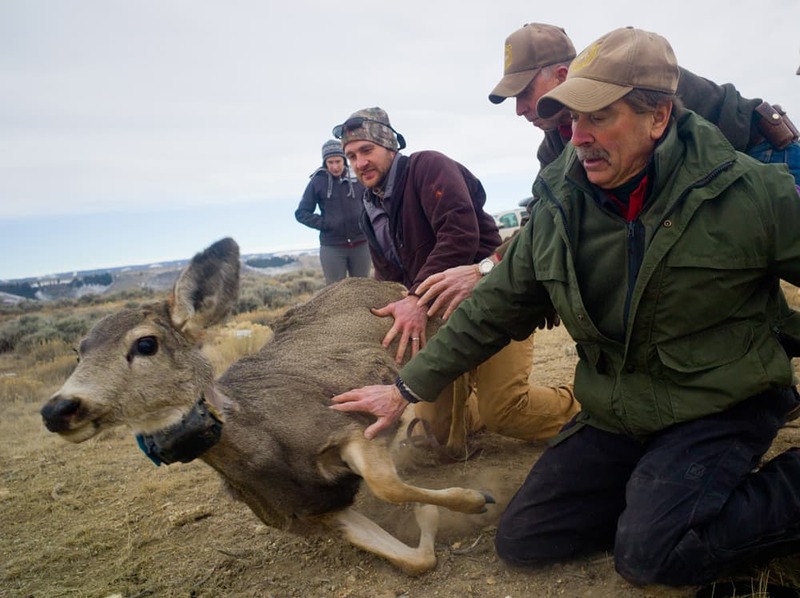 New technology, in the collars and the mapping of the green-up, allowed researchers to complete the unique study for mule deer, he said. Researchers found a strong correlation between mule deer movement and the greening landscape. At least 98 percent of deer showed some evidence of surfing, while about 30 percent followed the green-up perfectly, Kauffman said. Researchers don’t know why some deer are better surfers than others. 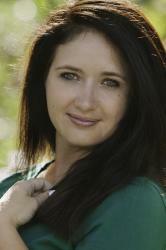 They found 2 year olds that surfed as well as 10-year-old deer, Kauffman said. Body composition also wasn’t a factor. They did find mule deer surfed more effectively when migration routes had longer green-ups that occur earlier in the season and progressed consecutively from winter to summer range. Kauffman is next studying what happens in drought years that impact the timing of the green-up and the amount of forage. Deer tend not to deviate from the migration routes they learn from their mothers, even when fencing or development makes it difficult. Data from this study can protect those routes from new obstacles. The study is part of ongoing research that seeks to identify and map Wyoming’s big-game migrations and understand the influence of development and climate change on this important behavior. It is also part of a larger study of the Wyoming Range’s mule deer population, said Gary Fralick, a wildlife biologist for Wyoming Game and Fish in the Thayne and Big Piney area. Wyoming Game and Fish collaborated in the study. Research started in 2013 to look at how mule deer respond to disturbances on winter range. In 2015, researchers captured fawns for the first time, outfitting the animals with expandable radio collars. Eventually researchers will also document and monitor the recovery of the herd after this last severe winter, he said. “What we’re doing is groundbreaking,” Fralick said. To his knowledge there hasn’t been another series of mule deer studies that rival the scope and details of the research happening on the Wyoming Range herd. Knowing the animals surf the green wave and finding how they do it effectively plays into the larger understanding of the herd. The ability for the doe to effectively surf and find the best nutrition impact how its fetus develops and how quickly it can recover fat to effectively rear its young. Wyoming Game and Fish, now with a better understanding of how deer migrate and the fidelity the animals have to the routes, can protect stop-over areas and manage those landscapes to encourage nutrient-rich native plant growth.